There’s been a lot of talk on the net recently about the new Sekonic L-478DR Litemaster Pro, so when Steve Ashton from Singer Photographic asked me to put this little beauty through its paces, i was enticed to test it to see if it could live up to its advertising hype. On a recent shoot, i had set-up a 3 metre tall boom arm with a Elinchrom Ranger top light plugged into a PocketWizard TT5, receiving a signal from my on-camera PocketWizard TT1. With no PocketWizard ST4 module on hand, i had no remote power control over this elevated unit. The height of the models on the shoot seemed to vary considerably, which meant i had to use a ladder every time i needed to change flash intensity. Time consuming, irritating and generally unprofessional. I admit it. Once again, the right kit could have saved me some time and frustration. In steps the Sekonic L-478DR with built-in PocketWizard module. The Sekonic L-478DR light meter is punted as the world’s first touch screen light meter and will let you take accurate light readings before you shoot, giving you the control to then make lighting quick adjustments of your flash intensity, whenever the need arises. Yes, i know there are gadgets out there that will adjust power remotely, but to be able to do it from your light meter gives you the best of both worlds. Less running around making adjustments, less calling on assistants to change power intensity, more time to concentrate on the most important aspect of the shoot: fulfilling your client’s brief effectively. Of course, as with all top-line wireless products, you can test the light and control different zones of flashes using different channels, but hey, that’s all in the Sekonic L-478DR downloadable pdf manual – which i suggest you read carefully if you want to extract all the features this sucker offers. And there are many, many features as i found out after spending some time with the manual myself. 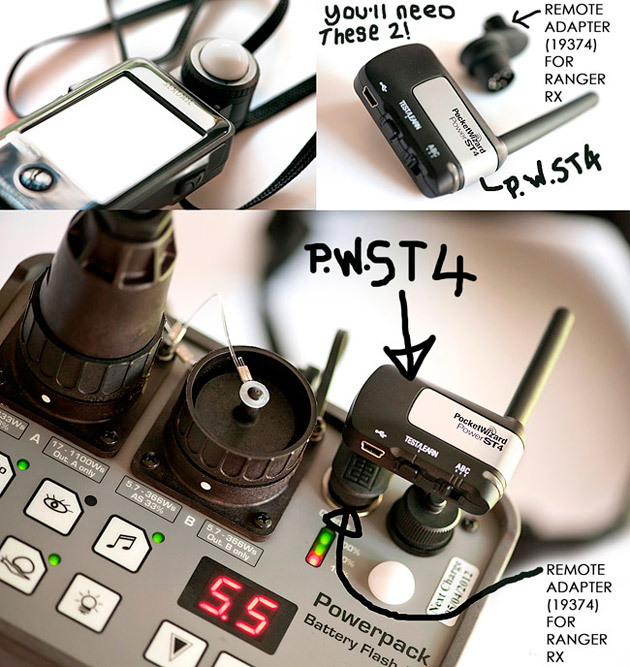 Your first port of call will be to make sure you have the PocketWizard TT1 & TT5’s, as they offer ControlTL technology. Secondly ,you will require the incredibly useful Elinchrom ST4 module which is needed to make the magic of power control happen with your Ranger, Style or digital heads (see this link for Elinchrom flash compatibility). And interestingly, only these three models in the Elinchrom line-up actually allow the power setting function of the L-478DR to work and the ST4 is instrumental in this regard. Your other PocketWizard Plus, PocketWizard Plus 2, PocketWizardPlus 3 or PocketWizard Multimax’s will still be activated by the Sekonic L478DR, you simply won’t be able to make use of the power control feature. Now get off the net and go shoot! 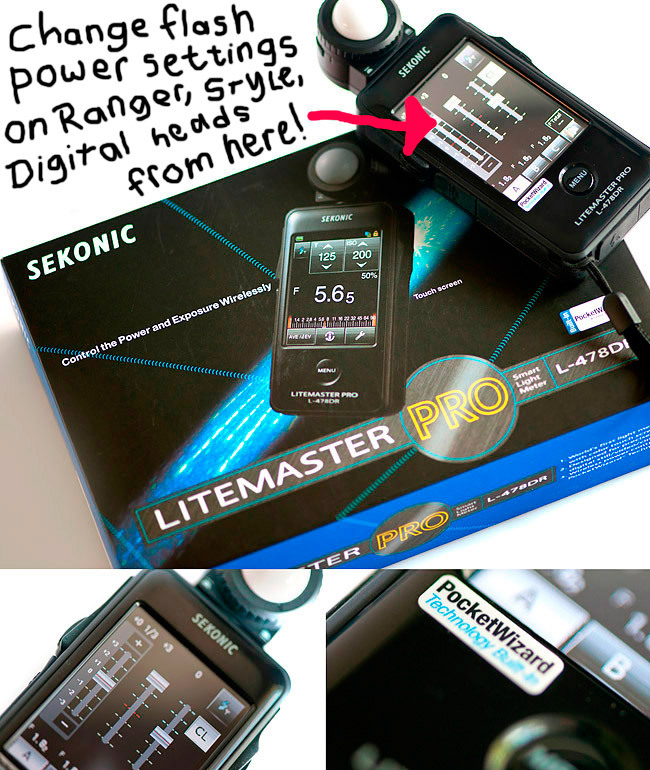 Please, my Elinchrom Ranger 1100 AS Speed is connected to a ST4, and i want the power level to be controlled by my Sekonik L478DR ? I am controlling the power range of my Canon Speedlites using the Pocket wizard Sekonic L478DR and all is working fine. However, the ST4 on my Ranger does not respond to any power changes from my L478DR and say I have the Ranger ST4 on Group C and I switch OFF Group C on the SEKONIC the RANGER will still fire even with the C Group Switched Off. i cant change the power of the ranger using the Sekonic power sliders and If i switch the group off on the sekonic will still fire. But all my Canon Speedlites respond perfectly to the L478 Power adjustments. PLEASE do you have any ideas ? Could my ST4 be broken ? when i connect it to the PW Utility all is fine there are no issues. So why does it still fire when group is C is OFF and why does it not respond to power adjustments from L478DR when the Canon Speedlite adjust perfectly ?